"The Cirneco dell' Etna: millennia of history, fifty years of selection. 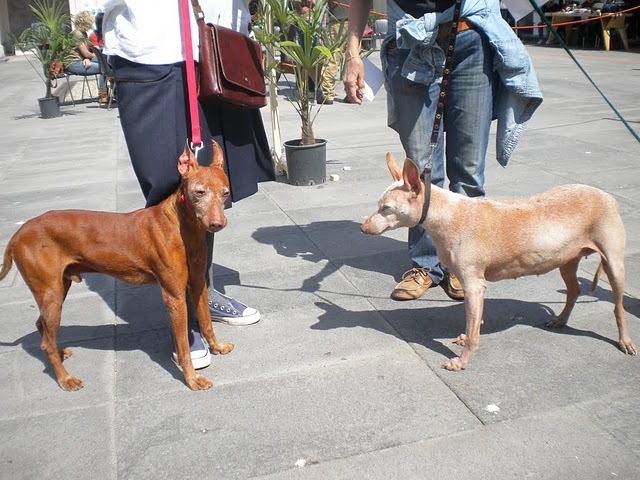 Proposals for the revival of the breed". Special show Cirneco, conference, photographs and iconographic exhibition..!! 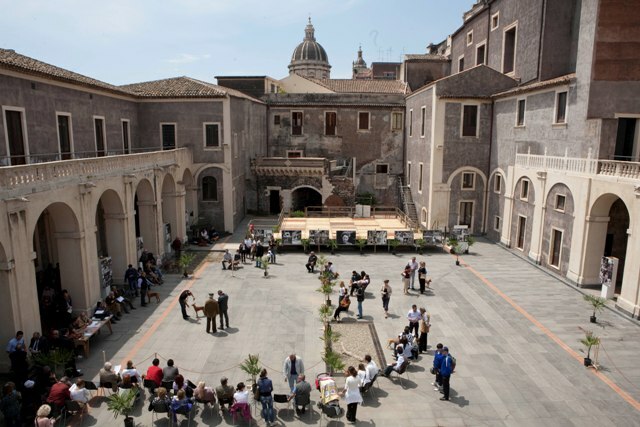 .... perhaps the most important event in the history of the Cirneco dell'Etna, everything went perfectly in the frame of the courtyard of Platamone Palace in Catania (former convent of Saint Placido) surrounded by old photos of the founders of the breed, of Donna Agata Paternò Castello ("Cirnecos mother") and a complete collection of Sicilian coins depicting our dog curated by Pucci. The conference, which was introduced by the President of the Amateur Society Cirneco Giuseppe Veraldi, had important interventions. Dr. Felice Modica spoke about the origins, etymology and the Cirneco in numismatics, in the art and in the literature. Dr. Antonino La Barbera and Dr. Domenico Tricomi have talked about the current state of breed and interesting ideas and proposals for the revival. 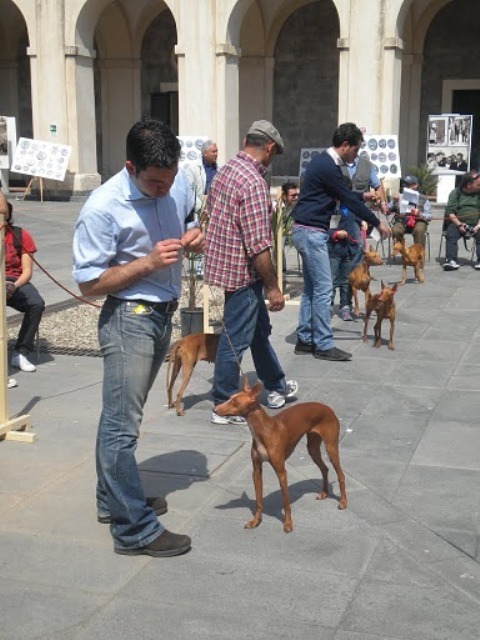 Entry 48 Cirnechi and was present a lot of dogs not entry and a lot of spectators and lovers of the breed. The results are overshadowed by the happiness for the success of the event, Mariolà, return in expo after maternity, is the best female on 30 subjects ...!!!! 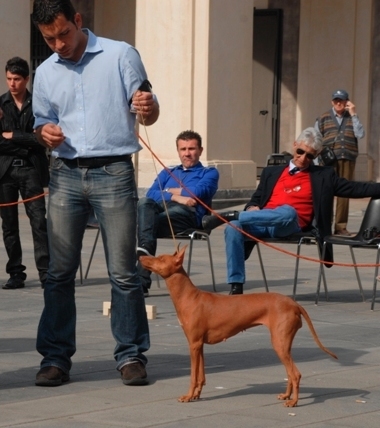 Our Aria is 1° exc CAC in open class on 14 subjects and our great Faruk 1° exc in veterans class...!!! Judge Dr. Alfredo Alessandri. 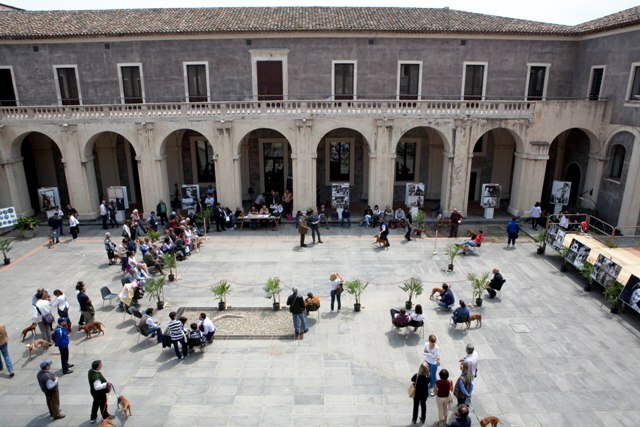 Special thanks to the perfect success of the event are certainly Livia Giachetti (daughter of Donna Aga) for having made ​​available to all the wonderful pictures of the founders of the breed and of her mother and for the general organization, to Marella Ferrera, commissioner for culture of the Municipality of Catania, for the full availability, to Pucci that has exhibited to all his studio on the Sicilian Cirneco coins and a bit to all of us who have contributed to the success ...! !